Has anyone else woken up to March with an incredulity that the third month of the year is here already? Maybe it’s the pace of life in Dubai, or the stage of my own life where I’m juggling work, teens on the run up to major exams and a busy social life. Every day that passes flags up that I am on the cusp of change. My elder teens ‘this is my last’ before she goes off to University (we’ve just had her last half term). The mornings are lighter and warmer pointing to a time soon where we won’t be able to sit outside in the balmy evenings and will crave the icy blast of the air conditioner. The produce at the weekly farmers market has been phenomenal this season. I start every Friday morning there buying my picked-that-morning, organic vegetables for the week from the farmers that grow the food. On my return the teens ask immediately for the 2 kilo bag of fresh peas in the pod and eat the whole lot raw. How could I resist some jam called Cherry Amour with labels inspired by the Paul Nash designs and from the fly-leaves of old books? Gulfood is the polar opposite of the farmers market (a huge trade exhibition with 20000 brands, 4500 exhibitors) and I struggled between the stands of highly processed packaged foods, big brands and hordes of men trailing wheelie computer bags. However, there were a few artisan producers among them all and a tweet brought me to England Preserves. I met founder Kai Knutsen, who, with Sky Cracknell, started making high quality jams on their kitchen hob and selling them at local farmers’ markets. When I asked why he said that he and Sky came from families who had always made jam. The Raspberry Deluxe was pure and intensely fruity, the gooseberry and elderflower sharp and moreish, the London Marmalade dark and tangy; they don’t boil the jam so the fruit flavours shine through and the sugar content is kept low. I’ve got lots of plans for this cherry preserve (a Bakewell tart, over Greek yoghurt or ice cream…) if it doesn’t disappear ladled onto fresh bread and butter first. Don’t you love this tea towel too? Another message from another friend/food blogger took me to Gaby Machel on the Argentinian section at Gulfood who raved about the quality of the juicy, juicy mangoes grown in Argentina, that were the inspiration for her range. I went away clutching a very large jar of cranberry chutney which is fabulous eaten with meltingly ripe Brie. I first tasted this variety of Lindt in France two years ago so hope the rumour is true that it will be on our shelves here in Dubai soon. Stop press: Just informed it’s available in Choitrams. Have a mentioned Balqees honey before? This raw honey from remote areas of Yemen is now a permanent fixture in my kitchen. I naively thought that all honey was the same until I was educated by owner Riath at the market. Most honey is flash-pasteurised (for consistency and longer shelf-life) and many contain sugar-solutions or the bees are fed with sugar. Tasting Balqees honey you are first struck by the totally different texture, it’s not so sticky and has an almost waxy mouthfeel like molten toffee. And it is toffee-like in taste but not as sweet, with none of the metallic tones you often get, just pure floral notes. I wish I could send you some. I hauled home this great can of olive oil from the market too (it does come in smaller sizes). Kostas on the Astraea stall lives in Dubai but his brother lives on the Greek island of Samothrace and tends the family olive grove. Astraea olive oil is smooth tasting, not aggressively grassy and I use it in everything. My bread making resolution has been undermined by the ease of picking up a sour dough loaf or focaccia made from organic flour at the market. So patting myself on the back for baking this flaxseed loaf inspired by a Dan Lepard recipe and prompted by Kellie who managed to make this loaf while suffering severe jet lag. I buy good wine, the best olive oil and finest raw honey. So I get a bit embarrassed when people ask for a coffee in my house. Tea drinker to the core, I’ve hummed and haaaed quite a bit about getting a special machine. Coffee Planet, a start-up company here in the UAE, serve really good coffee at the Farmers Market and offered me a try-out of their Mocca Master and range of their locally-roasted beans. Grinding the beans and brewing fresh does produce fantastic coffee. I was surprised at the differences I tasted between the single origin beans (loved the Kenyan) and how refreshing it was too. It’s made up my mind though – we don’t drink enough coffee do justify a machine, so I regretfully sent it back. I will buy a coffee grinder and the beans though and make do with my cafetière. In my kitchen …. of course wine shouldn’t really be in my kitchen as it’s the worst place to store it. Wine likes cool, constant temperatures and to be kept away from the light (whoops – this picture was taken in my garden). However, food needs wine and wine needs food and I drove to Ras Al Khaimah to visit The Cellar, Al Hamra and picked up these bottles among other things. Driving outside Dubai means that it’s lower tax (30% in the off-licenses here) and I can spend more than my liquor license limit which is vital for drinking more than cheap plonk. 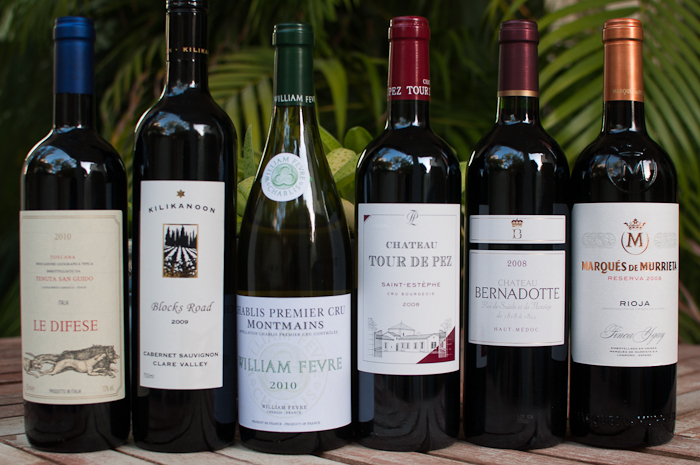 These six interesting bottles were an offer (buy six for 600 AED) from the Le Clos (fine wine) section in the shop. Well worth the easy drive down there. I don’t think Julie Andrews had this kind of drink in mind with her jam and bread but it’s what’s in my kitchen this month. Pop over and see what’s in Celia’s kitchen (at Fig Jam and Lime Cordial) as well as links to a whole host of other kitchens. 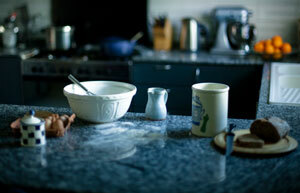 What’s in your kitchen this March? In my comment I wrote what great items you have. V unique and the sound like they will be used wonderfully in your cooking and kitchen. I would love to get some balqeez honey. Where would I buy it from? I will be keeping an eye out for that chocolate! KP only like milk chocolate so it’s safe for me to savour slowly! II LOVE trying different jams – I think I got it from my grandmother. Anyway – the ones you described sound delicious! Really, really good jam…in fact think I must go and have some now. Okay, I don’t have eyes but potatoes – how on earth did I miss the peas at the market?! Sally, I am stalking you next time and following your every move. Creepy, but I’d rather be creepy than miss out on the good stuff. 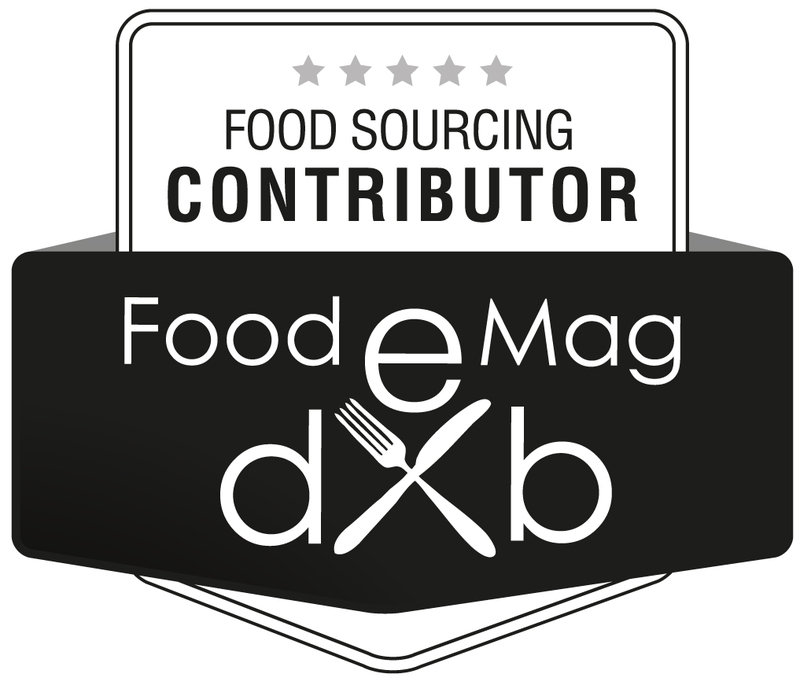 Good to read your picks from Gulfood. I’ve stopped attending because I get overwhelmed by all the packaged stuff, but it is good to know about artisanal producers and market trends. Wish there were a good post-exhibition article on the trends, like the one published by SIAL. Must look out for the SIAL article. My first Gulfood and found it too overwhelming by far for the reasons you describe. Sounds like busy, busy, busy Sally. Would love to be in your kitchen with all these amazing ingredients. So glad you commented as it reminded me to add a link to you for the Gaby recommendation. Love how I get to meet people from all corners of the globe through blogging. Lovely looking wine. I’d like some of those in my kitchen too. I must try the Nigella seed combination. I think they sell one variety with the seeds already in it – rated highly for health in the Middle East I believe. Exactly Sally, Nigella has a lot of healthy benefits. Beautiful vegetables and lovely produces! I love your market posts – whether farmers or trade – so much to delight all senses. Your honey experience sounds particularly interesting. I am a raw honey fan but unfortunately cannot use it with my cancer nutrition classes, which is shame as – like you point out – it is so completely different and quite delicious. Thanks for the wee mention about bread – yours looks perfection. I am at the same stage as your eldest, with lots of ‘lasts’ coming thick & fast. She’s my only child so I am trying hard to slow time and enjoy even the school run. Lovely post, Sally. I’ll go see what Celia’s up to in her kitchen. Interested to know why raw honey is not allowed in your classes Kellie? Most are moderately to severely immuno-compromised so need pasteurized honey. Some docs don’t allow any honey! After chemo all is good though. If severely compromised no uncooked foods allowed at all. But that’s hopefully a short window of time for the patient. It’s amazing compared to 3 years ago before the market started actually. But yes, I no longer go straight to Waitrose on my visits home (like I did from Saudi particularly). We used to come back to the UK to buy Cadburys!!! When I was there we had the fruit and veg market and fish market opposite the Hyatt on Deira side, they were rough and ready and wonderful but they were replaced with tidier versions years later. I used to love the fruit and veg market, not so much the fish one…!! Fish market and veg is still there. Love the signs to the new metro – taking fish on the metro is forbidden. Interesting! I know the markets are in the same place, they were massively smartened up though! Sally, you definitely have the tastiest IMP post this month. I am shocked that we (South Africa) got the Lindt chocolates before Dubai. Sadly, I am addicted to the new ones. They are all fabulous. Have a super week . What a lovely comment 🙂 You deserve all the chocolate Mandy. Sally – that honey sounds amazing. I must see if I can source anything like that here in London. 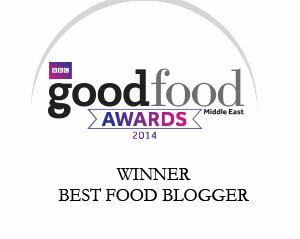 Thanks for a fab peek into your kitchen and Dubai! I love these looks into your kitchen, Sally. I always find new and interesting things to try or this month, in the case of The Cellar, to go. If we aren’t off sailing this Friday, perhaps I’ll see you at the market. I need to try that honey and buy some of that olive oil, along with the beautiful vegetables before it gets too hot. Hope to see you there Stacy. It seems that buying alcohol in Dubai is far from simple? Licenses, limits. huh? Care to write a post and explain in more details? I’m off to Georgia to taste wine at the end of this month and now so unused to lower temperatures that I’m starting to panic! Have been mulling on a post about Dubai and alcohol….time to put it into action. Hmmm, it is very far from cold there ( at least for someone on the east coast of US) – +20C during the day, +7C during the night? Don’t sweat the weather, think about all the amazing wines you will try – Georgia makes lots of great wines nowadays. If you will get a chance, look for Maisuradze wines (red wines made from Saperavi grape) – they are spectacular – but not available in US, unfortunately… Enjoy! Came to read your IMK post and got side tracked by your post about Jaipur!! Beautiful to see it once again. Sadly touts can spoil an experience even if it’s only a momentary encounter, the memory stays with you. I digress…….wine, chocolate, coffee, bread, all my favourite food groups are in your kitchen this month!! Thanks for the peek. It was the only blot on an otherwise unblemished landscape. So glad you enjoyed the post. 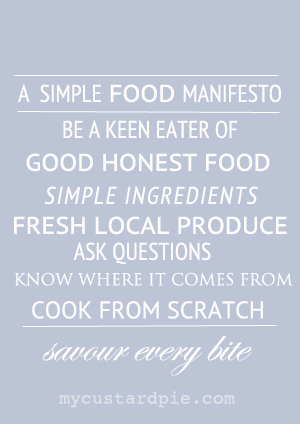 Yes – the only thing that’s missing from that list is cheese…. I like your version of the drink with jam and bread! As usual really enjoyed a peek into your kitchen. I am so obsessed with Lindt chocolate, though I normally go for the mint flavour. However, I love salty popcorn with chocolate MnM’s for the salty and sweet mix, so that chocolate defiantly looks like something I will have to check out! I had no idea that Lindt did a salted version of dark chocolate, thank you for that revelation! Thanks so much for sharing- I love the chance to see and try things vicariously- since I’m never going to get to Dubai! Now I’ll be singing sound of music songs for the rest of the day. I don’t think I could have passed by Cherry Amour – or all the other wonderful things. Gorgeous things in your kitchen Sally and I love the stories behind them. Very interested in the bit about raw honey – sorely tempted to keep bees at the moment. Just trying to work out if we have a good spot for them. Gosh that would be exciting. They keep hives on the rooves of hotels in major cities so I’m sure rural Gloucestershire would be perfect. We have a honey/bee keeper supply shop here in Sacramento, CA that has been in business for over 25 years that I only recently discovered. Who new that honey could taste so good! Tasting the “terroir” of honey has since become an addiction! It’s amazing what industrial processes do to ingredients and then we forget the way they are really meant to taste. It’s a revelation when you taste really good honey. Love hearing about your local shop. Fabulous goodies in your kitchen this month Sally! Some lovely goodies here. Can’t wait for the ‘pea’ season myself! I like the pea sprouts eaten straight from the plant as well. Bread and jam and a cup of tea is the perfect pick me up. I love the sound of that cherry jam and great labels too. I look forward to reading your ‘in my kitchen’ posts – feel like chucking all I have and stocking the shelves afresh! I’m Winny the Poo’s kitchen when it comes to Balqees Honey and I have told Riath that I want to visit Yemen just to see those magical Sidr trees! Sorry autocorrrect… I meant I’m Winny the Poo’s cousin when it comes to Balqees! Waitrose has it too apparently. I finished the lot and I’m normally able to resist chocolate quite easily. How I love your kitchen pics, I could dive into each one of these. Thanks – glad I found your lovely site. I am always happily surprised at all the lovely organic, local produce Dubai has to offer so I love following you virtually to the market every Friday. Love the Fleur de Sel Lindt choc too and ever since Riath introduced me to Balquees raw honey I cannot get enough. I am stingy with my loot though as I do not have the access you do. It has to last till October. And sadly the growing season has still not commenced in October….I’d love to take you there. Your farmers market haul looks just amazing. I haven’t had coloured chard for the longest time, nor have I seen it at any markets lately. I enjoy these IMK posts! We stopped off in Dubai t christmas on the way to and from the Uk to visit relatives. i must admit i would like to see more of it.. Unfortunately hubby is stuck on another contract for a year or so, So the opportunity to see about spending more time there is a way off.